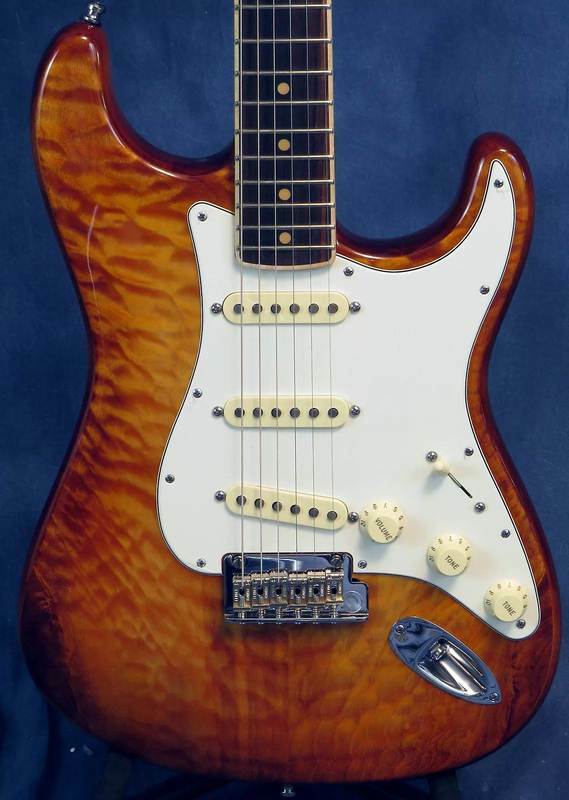 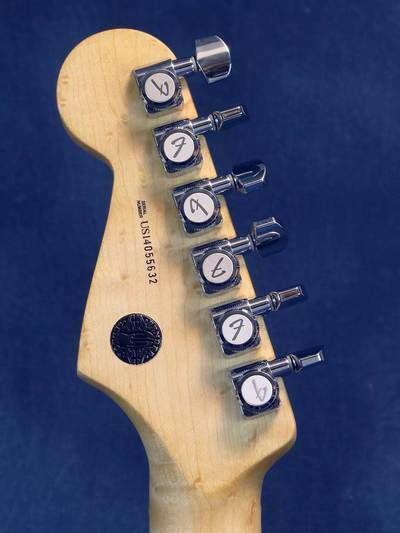 Neck Plate: Lighweight Chrome-Plated 4-Bolt Aluminum Neckplate, Contoured, "Fender CORONA, CALIFORNIA"
The Fender Select Stratocaster Exotic Quilt guitar certainly lives up to its name, with an atypical and highly distinctive wood figure in its quilt maple top. 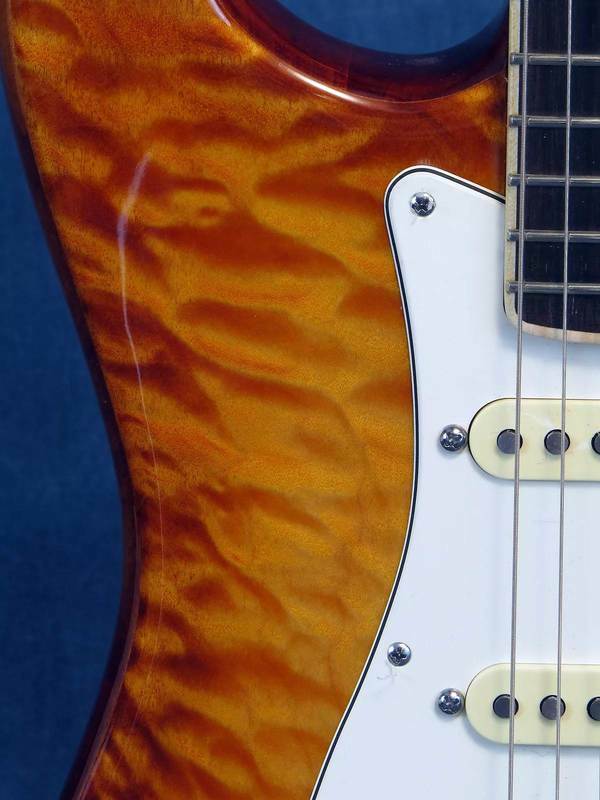 No two instruments are identical, and the swirling, almost marbled quality of the quilt wood figure is highlighted to even more beautiful effect by the guitar’s elegantly cool hand-stained Iced Tea Burst gloss lacquer finish. 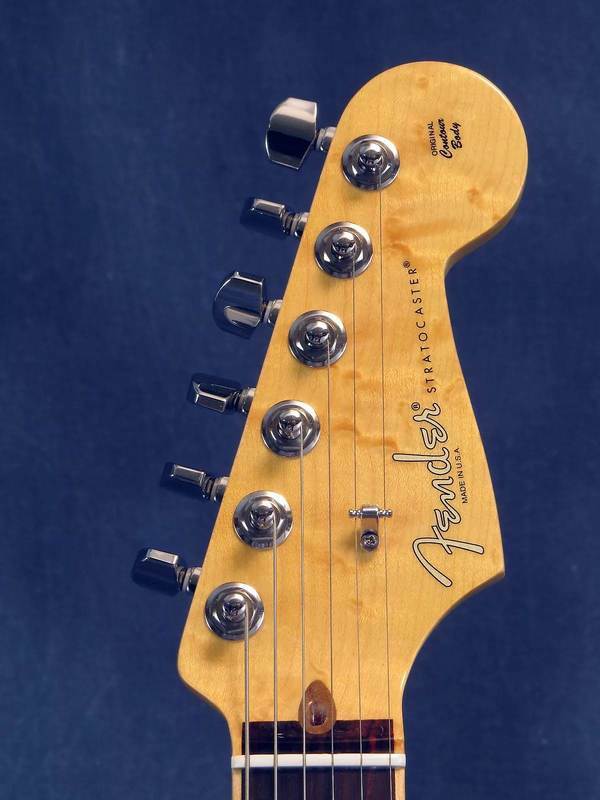 An exotic creation indeed, it launches the Fender Select series into 2014 with more style and performance than ever, including a striking “channel-bound” rosewood fingerboard with a compound radius (9.5”-14”). This inlaid fingerboard design imparts an elegant appearance and an amazingly comfortable fretting-hand feel in which both edges are pleasingly rounded, with no side seam between neck and fingerboard. Other premium features include a comfortably contoured neck heel on the alder body, birds-eye maple neck with “modern C” profile, 21 medium jumbo frets and “vintage ivory” inlays, three single-coil Fender Select Stratocaster guitar pickups with five-way switching, three-ply parchment pickguard and aged white control knobs, Bi-Flex truss rod system, two-point synchronized tremolo bridge with bent steel saddles, deluxe staggered tuners, Micro-Tilt neck adjustment and Fender Select headstock medallion. 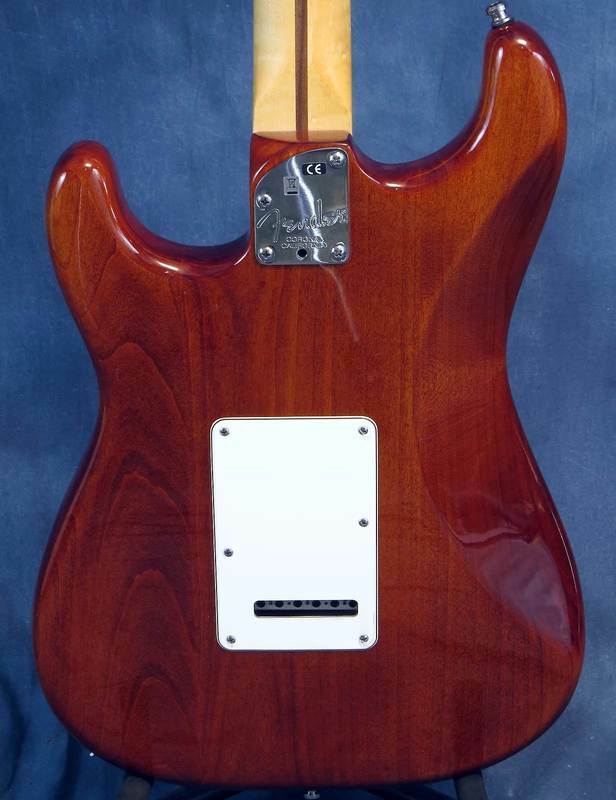 Includes Fender Select tweed case, guitar strap, cable and polishing cloth.